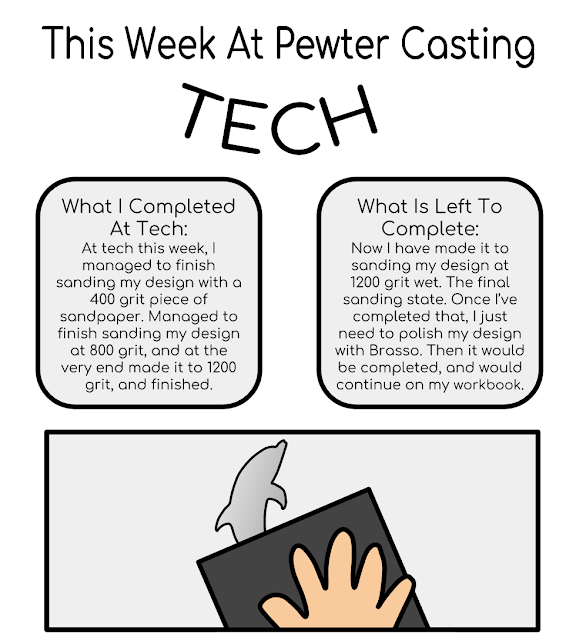 This week at tech, we continued sanding our pewter designs. This week was the best week for me, as I got through 3 different design states. Now I am up to the point where I sand my design with a 1200 grit piece of sandpaper, with water, to get rid of all of the dust on the pewter. I made a DLO (Digital Learning Object) to explain two things. What I managed to complete that day, and what I have to do next time. 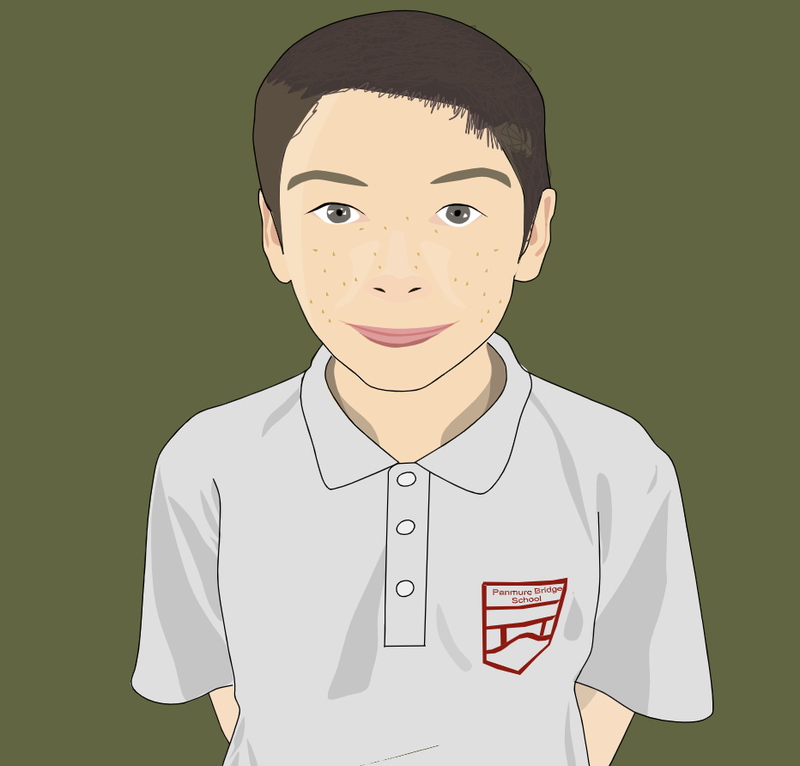 I had a little bit of time before I had to post it, so I drew a picture as well to show what I had done.